Robotics have enabled toys to improve drastically and keep up with the digital age. From toys with flashing lights to the ones making bloop and bleep sounds, the world has now amassed toys integrated with expressive personalities capable of adapting to your child’s needs. 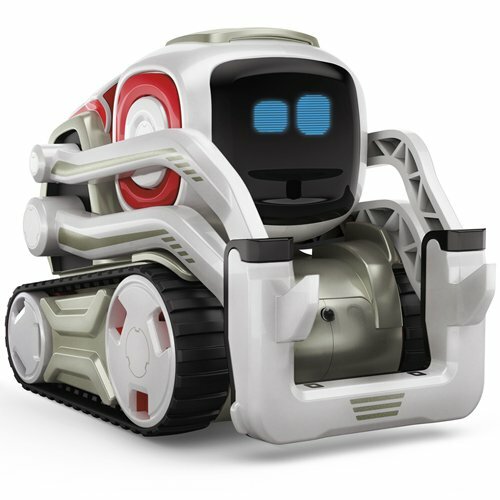 The range of robotics gifts and toys for kids is ever expanding. A quick Google search online will show you different types of toy bots that are not only entertaining – some can even be a fun introduction to STEM skills, one that you’ll find appropriate for your kid’s age. Whether thinking of a gift for your kid’s birthday or merely wanting to give something to amuse a niece or a nephew, there are a lot of convenient options waiting to be purchased. Below are ten of the best robotics gifts you will find to your liking, along with a few golden nuggets you’ll uncover in robotic toys. Robots are often visualized as giant machines capable of either building or destroying everything on its paths. Hollywood can get so creative, but the fact of the matter is, robots are everywhere – from everyday cleaning tools to children’s toys. In fact, it has paved for schools to introduce robotics to teach students how robots can benefit all of humanity. In fact, robots and robotics can be the perfect way to get your kid interested in Science, Technology, Engineering, and Mathematics or STEM. Science is the very core of robotics. The study of the universe – both natural and physical – heavily rely on it making it easier for us to see and understand the areas we haven’t been to before. One perfect example is the Curiosity rover cruising the landscapes of Mars, a robot designed by NASA to explore and send information about the red planet back to Earth. With robotic toys, children are a step closer to understanding scientific theories, as well as the various concepts of physics such as tension and force. It’s also the best way to encourage observations and experimentation, science’s basic and most essential aspects. As one of the most dreaded subjects children can ever face, it’s clear math isn’t loved by all especially if the basic concepts start to expand. However, robotics may be the key to make Math learning easier. In fact, schools and learning centers are starting to use robotics to teach students the basics and the advanced areas of math. With robots, interactive learning is possible, which makes studying more fun and interesting. Thanks to modern technology, there are now kits that allow the child to build a robot from scratch. It may look like a simple game of building, but that is actually the premise of engineering. We’re used to seeing children build structures using blocks of many colors – an activity that must be encouraged to give them a good grasp of what function and design it. With the advanced assistance of robotics, it even expands the concept further, making mechanics and electrical engineering a lot easier to learn. Children may be far off from getting interested in coding and programming, but basic concepts can be learned by introducing robotic toys. Incorporating such concepts wouldn’t be difficult, thankfully, because computers have now become a huge part of our daily lives. Robotic toys are designed to be in its most basic form, but this simplicity actually leads to programming. Exposing your child at an early age to sophisticated forms of technology will help build his interest and will help cope with the rapidly changing world enhanced by technology. Robot-building kits and other toys enhanced with robotics are easy to acquire and some come at the most affordable prices. If you are thinking of buying one for your children, here are the benefits your child may get. Not a lot of children realize how doing something can lead to certain circumstances. The thing about cause and effect is that it may result in something beneficial or destructive, and children understanding this will help develop their decision-making skills. Robotic kits are programmed to have a result once something is triggered. This concept is seen in the process of building a robot from scratch and make it do something such as flying, talking, crawling, or walking. By understanding this, they will likely choose the option that will have a positive result, thus empowering their self-esteem. Our brain’s cognitive functioning is responsible for our ability to solve problems and process thoughts to make them more coherent. Robotic toys all come with manuals and allowing your child to read, understand, and go through the kit alone will awaken his abilities to analyze, giving the cognitive function a boost. 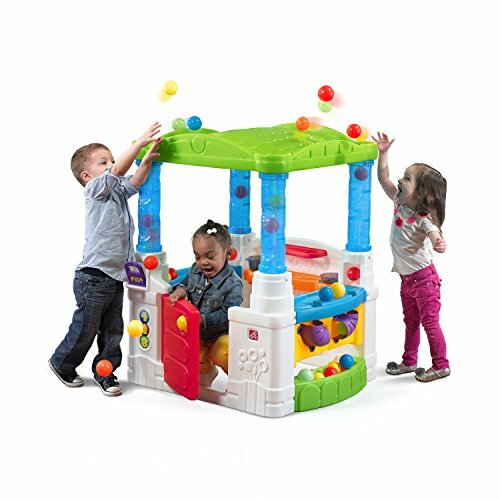 If your child is not ready to build the toy on his own or there are certain processes that may be too complex, this is your chance to help him out and emphasize what teamwork is all about. 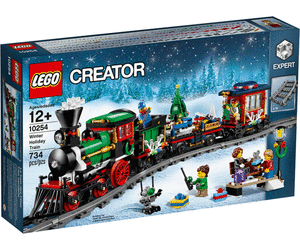 You can also encourage your kid to build his kit with an older or younger sibling, or even his friends. Knowing the value of teamwork at a young age will help your child understand that helping each other out leads to favorable results. Whether you’ve chosen a simple or a more advanced robot kit, your child’s fine motor skills will greatly improve. Fine motor skills refer to the tiny muscle movement and coordination, for example, our hand-eye coordination. When developed at an early age, a child won’t have a hard time grasping a crayon or a pencil, which leads to the development of more complex life skills in the future. 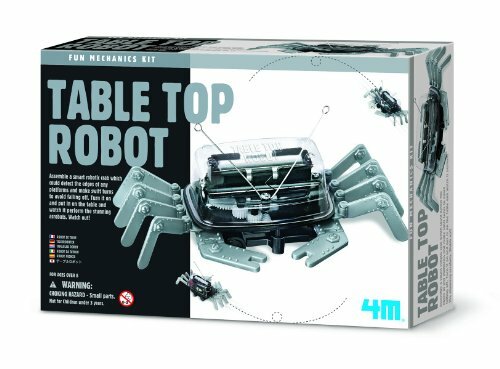 The 4M Table Top Robot is the perfect starter kit for the young genius. 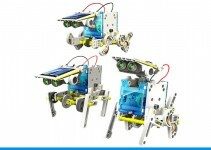 It challenges imagination while at the same time teaches kids the basics of robotics by showing how toys are assembled. This robot takes the form of a crab when fully assembled and scuttles around when activated. 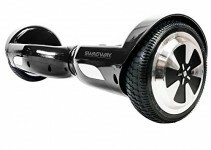 It has sensors that detect when there’s an obstacle, and its system commands the robot to avoid it. This toy is recommended for kids ages 9 and up, but they may need assistance when screwing some parts. 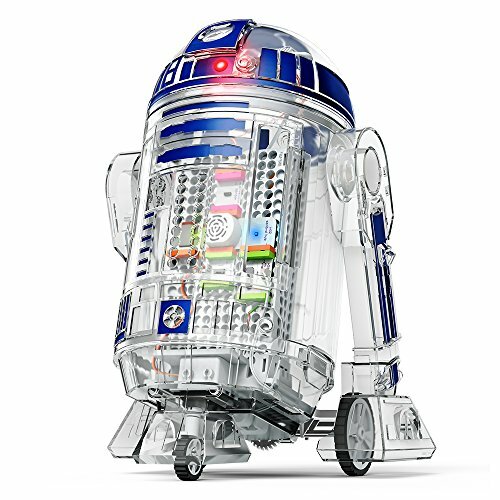 The Star Wars Droid Inventor Kit from LittleBits is for children ages 8 and up. This one takes the shape of the beloved Star Wars droid, made possible by magnet-enabled electronics modules. 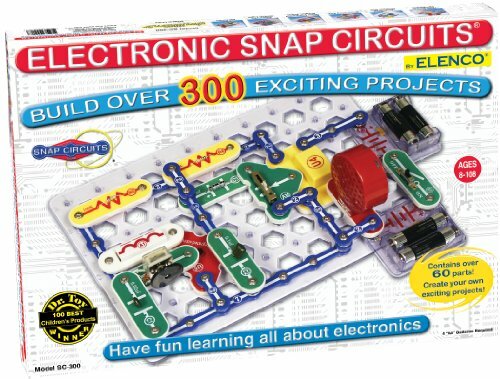 This could be the perfect avenue to introduce kids to circuits and how they work, and while the kit is education, it is a whole lot of fun as well. This is an easy droid to build since each part represents a function and is indicative of where it should go. Apart from the joy of putting it together and playing with it, LittleBit has an online portal that lets kids interact and seek inspiration and assistance. 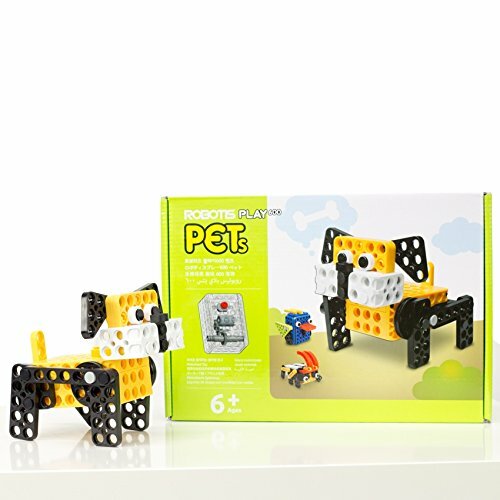 For much younger kids, the Robotis Play 600 Pets Kit doesn’t look much like an advanced robotic toy. However, it offers all the basic fundamentals of robotics. Inside this kit are over 100 pieces of colorful blocks. You and your child can assemble them to create seven different kinds of robots. All seven can move by the way, which adds to the entertainment value of the product. Inside the kit is a manual too, to make construction a whole lot easier. You can teach your kids how to build the robots at first, and encourage them to do them on their own when they’re ready. The SC-300 Electronics Discovery Kit might be the coolest way for your kid to learn how circuits work. 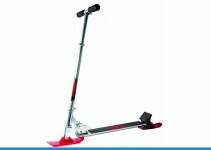 It is ideal for children ages 8 years and older. Each one features over 60 parts that your kid can snap without hassle, and is reminiscent of real circuits, allowing your child to understand the fundamentals of electronics. Each part is labeled and colored according to its purpose and with the guide, one can make up to 300 different kinds of experiments. This kit is also very affordable and runs entirely using four AA batteries. With this kit, you can make circuit models used in lamps, flashlights, alarms, radios, doorbells, and a whole lot more. 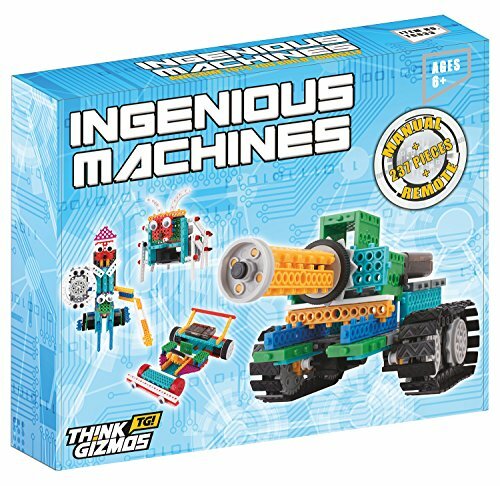 One of the most advanced robot kits for kids ages 6 and up, the Ingenious Machines Remote Control Building Kit contains models for mechanical parts, interlocking bricks, and wheels to build construction types of machinery. What’s great about this kit is that it comes with a remote control, which makes things more interesting because what they’ve just built can actually move. Aside from the models shown in the manual, children can make their own models, encouraging creativity and resourcefulness. What’s more, you don’t need to buy a separate set of batteries for this one. Buying the kit includes four AAA batteries so you can play with it immediately. Cozmo is a tiny, smart robot made of more than 300 parts to create one supercomputer that doubles as your kid’s loyal buddy. Cozmo isn’t just an ordinary robot that you can control; he is self-learning and has the ability to express several emotions. The more you and your Cozmo hang out, the more he gets customized – he gets to know you and the things that you do. 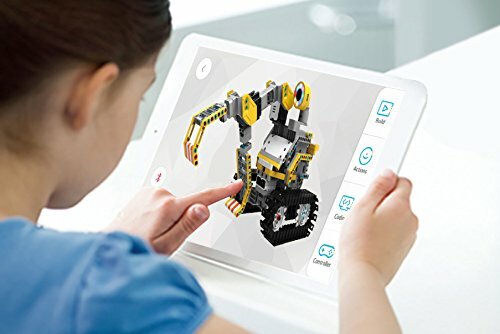 For older kids, Cozmo comes with his very own Code Lab, a platform for noob coders to create a robot the way you want it – personalized and ready to roll. Another sophisticated and advanced robotic toy, Jimu Robot is like your very own Wall-E. it has a personality that you can design and code yourself, and program it to move using any smart device. Albeit a toy, this kit uses real robotics. You can play with the robot or use it as a platform to be more knowledgeable in coding. 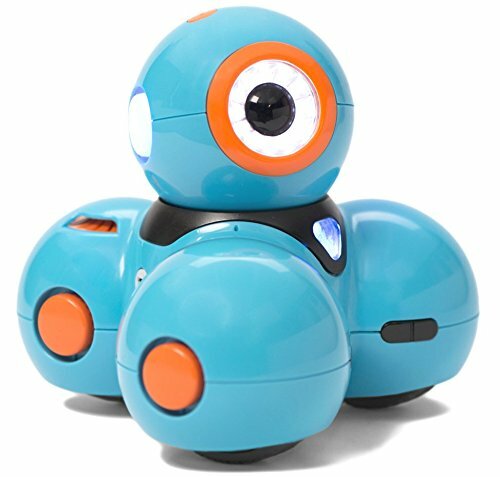 Jimu Robot is best for children ages 8 and older. Parents will be delighted to know that there are robot kits designed for toddlers. Specifically, 3 and up. 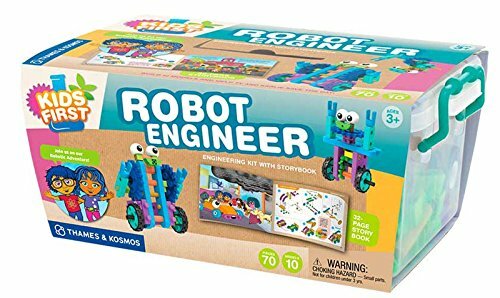 While non-motorized, the Robot Engineer Kit and Storybook by Kids First is a simple engineer kit that you can make structures along with the included storybook. The goal is to follow the story and build models as you go along, according to the story. It’s essential for younger ones; its blocks are bigger to allow tiny hands to grip and easily stick the pieces of blocks together. 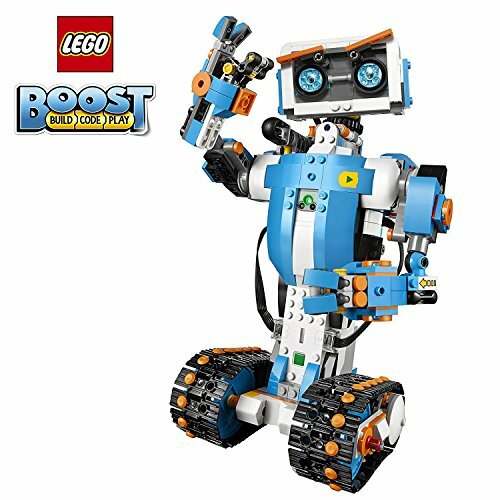 From popular engineering toymakers LEGO, the Boost Creative Toolbox 17101 is a huge robot kit made of more than 800 pieces. With these pieces, you can make five different models, each of them you can program to have its own personality using a free app. This is essentially for older kids who are ready for tiny and a whole lot of parts, encouraging creativity and cognitive function. Although quite an advanced robotic toy, the Wonder Workshop Dash Robot is marketed for children ages 6 and up. But with this robot comes an app that children can practice coding with. What’s great about Dash is that it’s being used by more than 10,000 schools and learning institutions, all aiming to encourage kids to bask in the world of robotics. Dash responds to voice and can sing, dance, and navigate – skills that not only kids will enjoy, but also adults. We’ve reached the point in time where kids are ready for more advanced play time. One which will encourage their thinking skills and not just for entertainment purposes. While any of these toys make great presents for kids, make sure what you get is age appropriate. Otherwise, they won’t be able to enjoy it. With the range we have selected as the best robotics gifts and toys for kids, we are confident there is something here for everyone. Luckily, most robot kits aren’t that expensive. So buying one kit or two won’t cost much of a strain, but you’re guaranteed a lot of advantages.